The Ngāpuhi ancestor Nukutawhiti was the captain of the Ngātokimatawhaorua canoe. This famous 1824 drawing by the missionary Thomas Kendall shows him in the first state of existence. 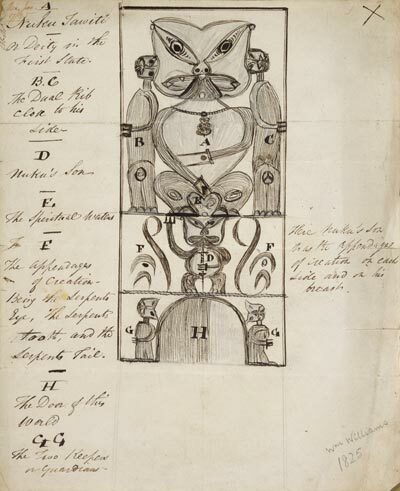 Kendall’s notes and artwork accompanied carvings which were sent to England at the time.